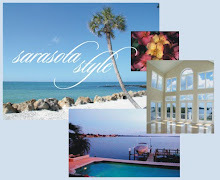 Many Casey Key visitors have spent the summer in some of Sarasota FL real estate's nicest Casey Key waterfront homes. Beach houses on Casey Key provide summer fun and then these visitors are head back to their homes until the next season of summer fun. Many visitors stay in Casey Key homes during the winter months too staying for several months to enjoy a break from colder areas. What better way to spend days and evenings in Sarasota: on the beach on the summer and golfing in the winter. Beach houses offer an array of activity for summer fun with friends gathering on the beach for 4th of July Fests, fireworks and cookouts. Loggerhead turtle activity on Casey Key beach is fun to watch, and we get the scoop on golfing activities in the country club communities throughout the Sarasota season. I'm headed out to Casey Key late this afternoon for the last hooray! One last walk on the beach with Snuffy, one last sunset before the winter season swings into full force. Phones have started ringing and we are busy with showings and it only gets busier in season. If you are interested in Sarasota FL real estate, give me a call at 941-504-3922. to assist you with your questions and help with your search for Sarasota FL real estate.